I only have two requirements for a Valentine's Day dessert. It has to have chocolate and it has to involve something red. 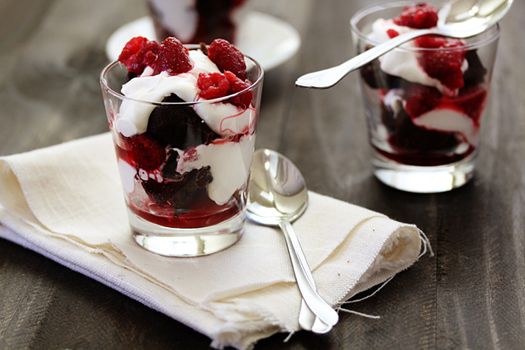 This raspberry brownie parfait fits both of those requirements. It just might make its way to our dining room table tomorrow night. You can get the recipe for these Valentine parfaits over at Good Life Eats.